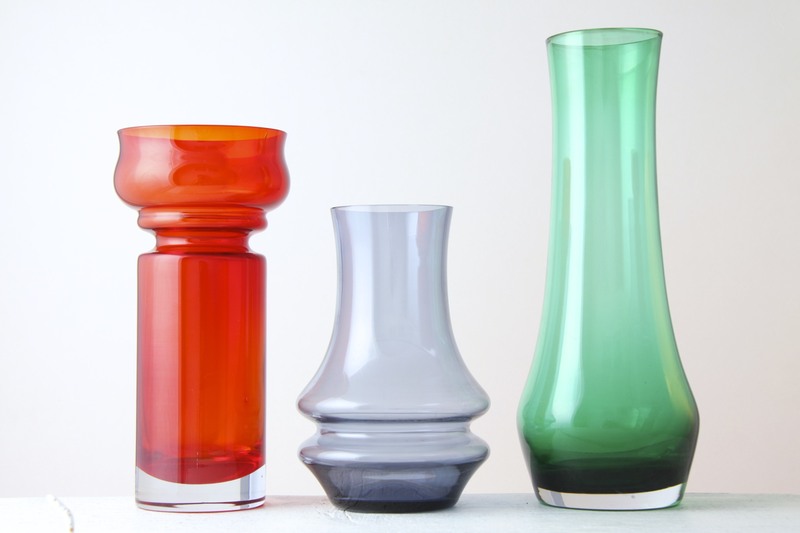 This is a Fantastic set of 3 Scandinavian art glass vases. The green and red pieces are attributed to Tamara Aladin for Riihimaki (Riihimaen Lasi Oy) Glassworks, Finland circa early 1970’s. The blue vase has the characteristic hooped shape found in Scandinavian glass of the era, the exact maker is unknown. 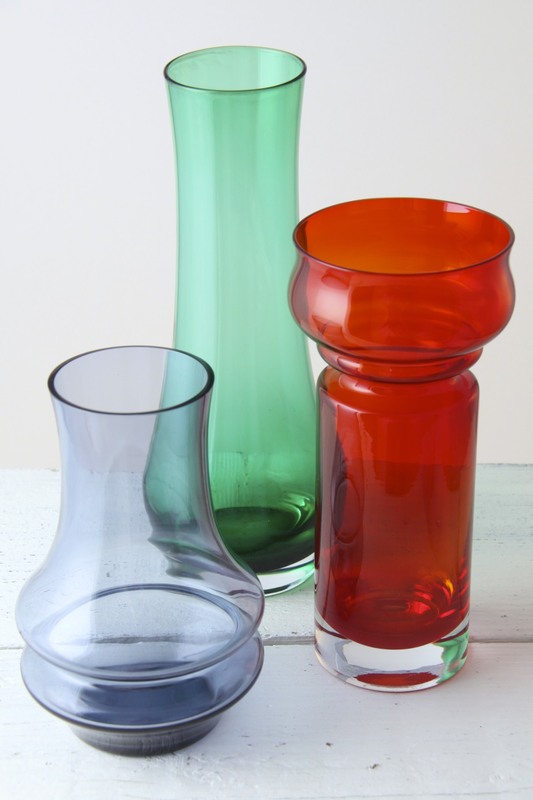 Stunning forms, the red vase is the ‘Tulppaani’ (Tulip) design, circa 1973, the coloured cased glass complements the minimal forms and subdued tones of the other two pieces beautifully. Would make a Great addition to any collection of Scandinavian / Finnish / Art glass, and would complement any retro, vintage, 1960’s, 70’s, minimalist, modernist, mid century or contemporary interior. All in Excellent Condition, no marks, chips or scratches, light surface age related wear to the bases, not visible on display and doesn’t detract from the overall stunning look. Green vase 25 x 10 x 10cm / 10 x 4 x 4in. Blue vase 16 x 10 x 10cm / 6.25 x 4 x 4in. 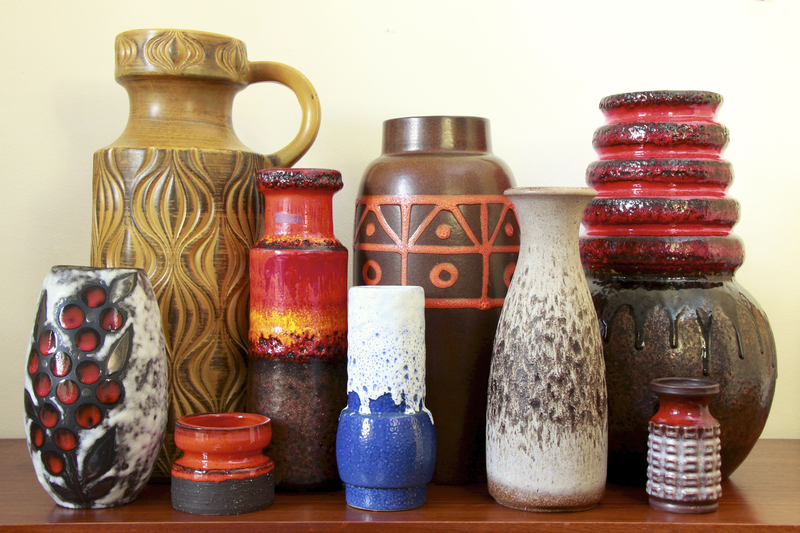 ‘Fat Lava’ West German pottery group, collectors may spot the odd one out!